Healthy Teeth Means Healthy Body! Did you know that your dental health serves as a window to your overall wellness? Your oral health is more important than you might realise. The condition of your teeth offers clues as to what is happening inside your body, providing you with warning signs to prevent the onslaught of diseases. Also, dental problems may affect the rest of your body, contributing to the onset of diseases and conditions. It’s why visiting your family dentist in Ryde or anywhere else in Australia for a regular check-up is crucial not only to obtain healthier teeth and gums, but also to ensure overall wellness. Research shows that a pregnant woman with periodontitis has a higher risk of delivering a pre-term, low birth weight (LBW) baby, or an infant born before the 37th week of pregnancy. This may happen due to unexpected oral health changes caused by hormonal imbalance during pregnancy. The increase in oestrogen and progesterone in the body may affect how gum tissues react to plaque. When plaques are not properly removed, these may induce gingivitis or, worse, periodontitis that cause bacteria to enter the bloodstream. When this happens, bacteria may travel to the uterus, triggering the production of prostaglandins. These potent substances affect blood pressure and metabolism, as well as induce premature labour. People with type 2 diabetes are more at risk of developing gingivitis and periodontal or gum disease. Diabetics may also experience fungal infections, such as oral candidiasis or thrush, burning mouth syndrome and xerostomia (dry mouth). While more studies are needed before doctors can conclude that gum diseases actually lead to diabetes, there are theories as to how this might be the case. One theory explains that gum disease makes diabetes more difficult to control since infection causes insulin resistance, thereby disrupting blood sugar level. Oral health problems may serve as signs of osteoporosis, a disease that weakens bones and decreases its density. Dentists may detect or recognise the first stage of osteoporosis in patients due to the following signs: bone loss around the teeth and the jaw; tooth loss; gum disease and loose or ill-fitting dentures. Regular dental check-up not only lowers a patient’s risk of oral health problems, but it also helps diagnose symptoms of underlying medical conditions and even spot warning signs of diabetes, osteoporosis and preterm birth. To ensure your overall wellness, have your oral health problems taken care of by the professionals of Marsfield Dental Care. We deliver the best oral health care services, from simple tooth whitening to complex procedures, such as root canal in Sydney. 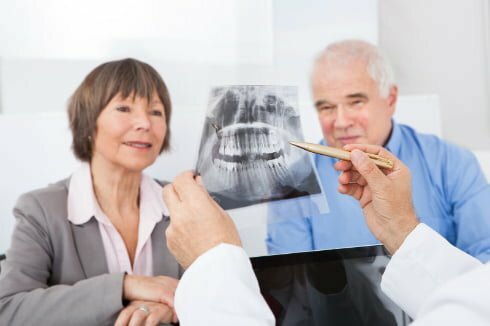 Whether you are looking for treatment for gum disease, or you need surgical tooth extraction in Sydney, our dentists can give you effective solutions and expert care.